Need ideas or inspiration for your upcoming remodel or new home construction project? Then this the perfect book for you. Get different ideas on how to add that arched ceiling or on how to finish them out. Not to mention, this is a handy book to have to show your customers the options they have when dressing up a particular room in the house. To receive your free photo call us toll free at (877) 303-ACME (2263). 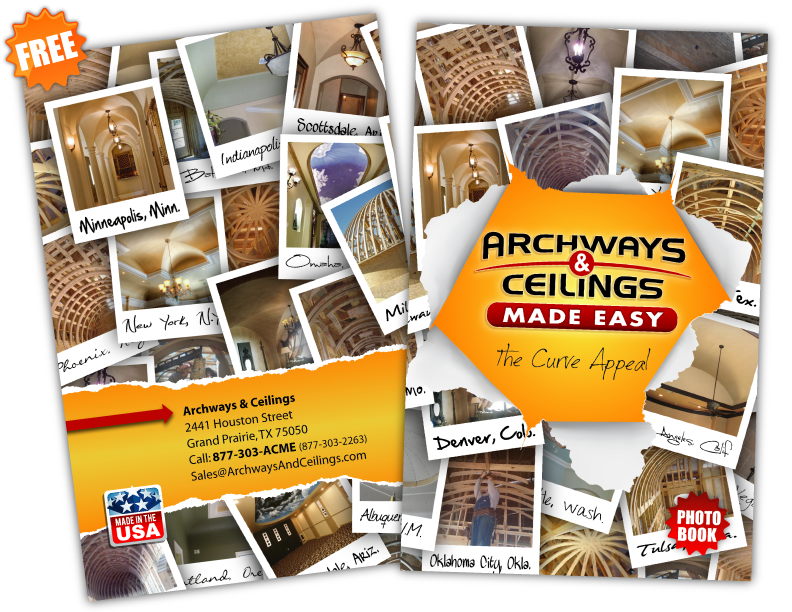 Take a peek at what the Archways & Ceilings Photo Book looks like inside!